It’s that time of year once again! Despite the warm, summery weather we experienced last week, you can see fall colors beginning to peak out all over the Centre Region. Pennsylvania is in for a particularly beautiful display of fall foliage this year due to a wet summer, according to forest ecologists from the College of Ag Sciences. 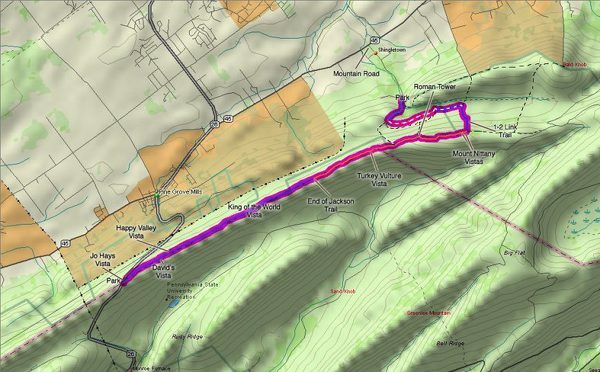 While you could head out to climb Mount Nittany this weekend to take in the natural beauty along with everyone else and their dog, the area boasts a tons of other (and, in my opinion, better) hiking spots that aren't far from State College. 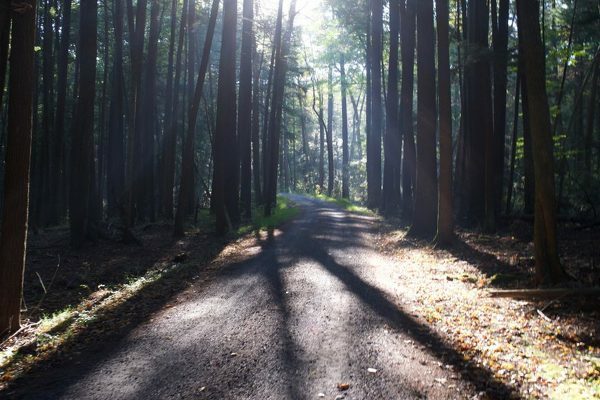 Just 20 minutes from downtown is Rothrock State Forest, clocking in at 215,000 acres and criss-crossed by more than 300 miles of trails, including a 42-mile portion of the 326-mile Mid State Trail. The best and most complete maps of Rothrock are Purple Lizard Maps, which you can pick up at Appalachian Outdoors on South Allen Street. Pack water, snacks, and some sturdy shoes and go explore the great outdoors. Here are five hikes in Rothrock State Forest where you can see beautiful views, lovely fall foliage, and maybe a few critters this weekend. The trail itself overlooks Galbraith Gap and boasts some beautiful views throughout the climb. 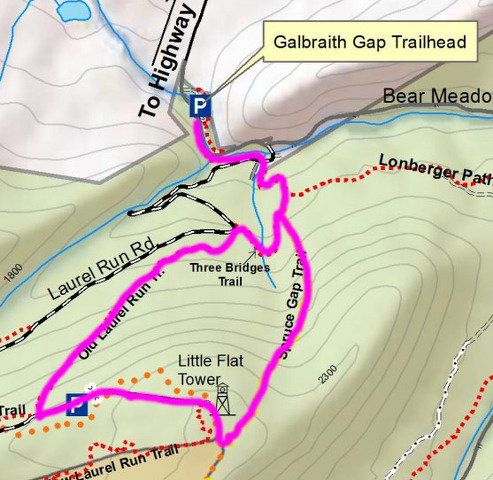 At the top there is a nice clearing where you can rest and refuel before a short road walk and then return down to Galbraith Gap on the Old Laurel Run and Three Bridges trails. The colors at the top of the mountain change earlier than at the base, so you’ll definitely see some beautiful oranges and yellows all around. 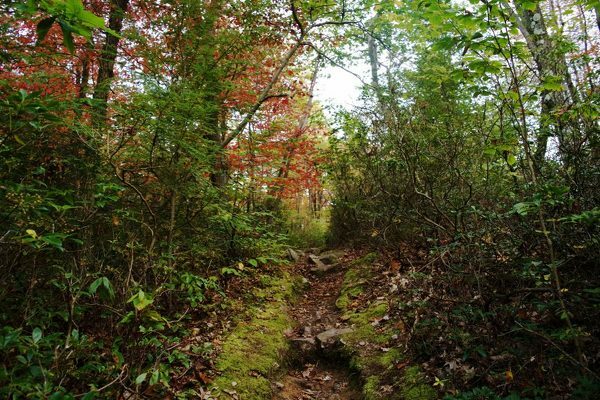 Don’t be afraid to explore some of the other trails while you’re at the top, including the portion of the Mid State Trail that runs through the area. Bald Knob is a hidden gem in Rothrock, especially in the fall. It’s a neat boulder field located at the top of a mountain where you can see some spectacular views. 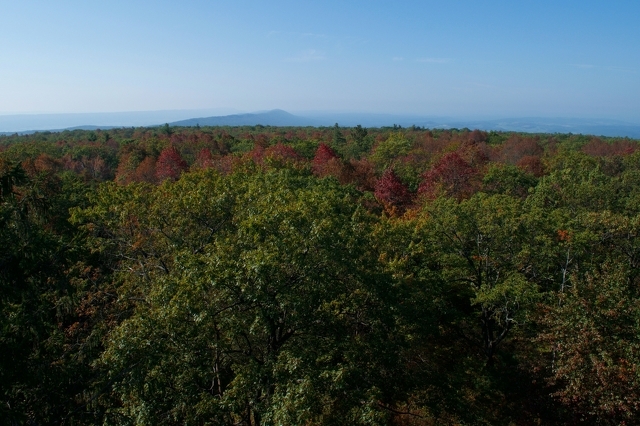 Much of the area around the Knob is covered in Black Gum trees, which change color much earlier in the season than many other species in the area, giving a spectacular effect. The trails to access this spot are rocky and fairly steep with an elevation change of more than 400 feet over a fairly short distance, making this hike a bit of a workout with a beautiful reward at the top. It definitely isn’t a “stroll in the woods” kind of trail, but isn’t terribly tough either. Hiking boots are a good idea for this one because of the rocky terrain, but definitely not a necessity. Please be sure to watch where you step at the top as rattlesnakes love warming themselves on the exposed rocks this time of the year. If you do encounter a rattlesnake, just keep in mind they’re more afraid of you than you are of them, and keep a respectful distance. This area is accessible from two locations. The pictured loop begins at Laurel Run Road, which branches off of Bear Meadows Road just past the Galbraith Gap parking lot. Keep an eye out for the trailhead on the right side of the road. There is not a designated parking area for this one, but there are pull-offs along Laurel Run Road — just be courteous to other users. 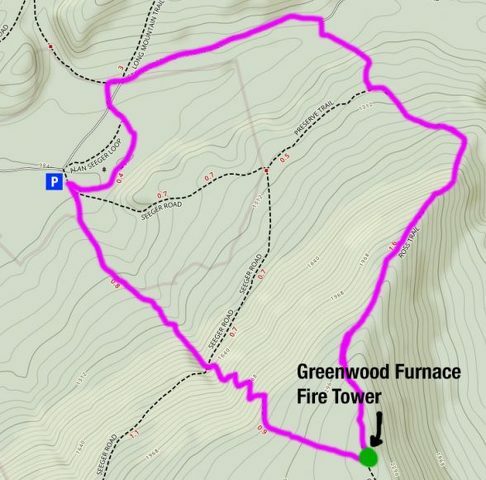 I would do this one counterclockwise, climbing up on the Bald Knob Ridge Trail and returning on the Greenshoot Trail. Make sure you keep left on the way down to avoid adding a few miles to your hike. 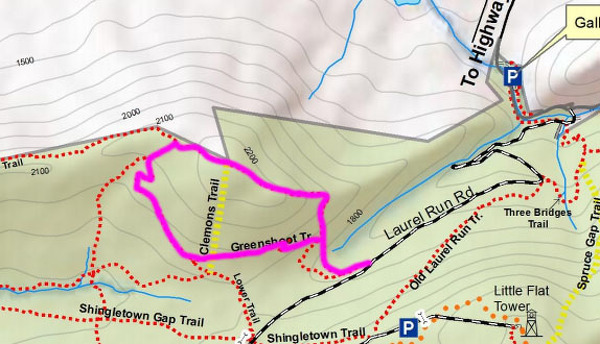 For the more ambitious hiker: I typically park at the Shingletown Gap parking lot, which is located down Mountain Road off of PA-45, and make a 7-mile counterclockwise loop using the Lower Trail > Bald Knob Ridge Trail > Sand Spring Trail and back to the Lower Trail. It’s a fun hike with some steep climbing and a ton of great views from the ridge. Sometimes I mix it up with a clockwise loop, Lower > Sand Spring > Bald Knob Ridge and continue straight when the Bald Knob Ridge trail veers left down the mountain to finish with a boulder scramble back to the beginning of the Lower Trail. The Bear Meadows Natural Area is a beautiful 320-acre bog surrounded on all sides by mountains. 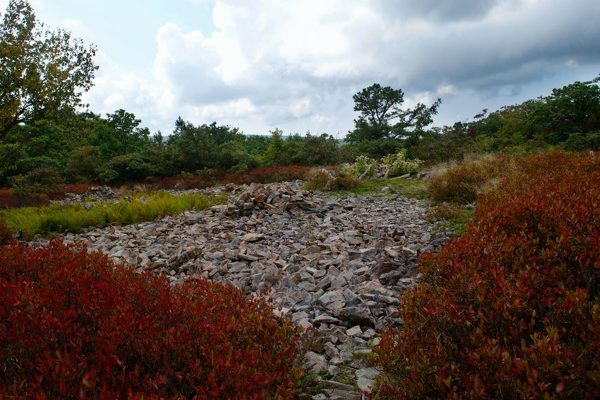 It is one of 27 designated National Natural Landmarks in Pennsylvania and the only one located within Centre County. The trail itself is a gentle and shady 3.6 mile walk through lovely thickets of mountain laurel and rhododendron with little to no elevation gain. It’s a great trail for all seasons, especially since the laurels and rhododendro keep their green leaves all year round. I personally like walking this trail in the clockwise direction, but it’s great no matter which way you go. 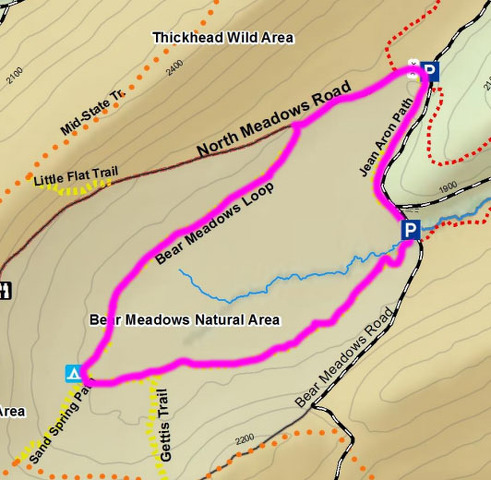 It is accessible by Bear Meadows Road, a mostly-paved road that snakes its way through Rothrock starting just past Tussey Ski Area, and has a fairly large parking area right at the trailhead. If you’re lucky, you might be able to snag a map at the kiosk. While this loop does not require any kind of serious hiking boots by any means, I recommend bringing shoes that you aren’t afraid to get a little wet and muddy as there are a few places where you will be crossing small streams and swampy areas. This hands down one of the best hikes in the area, and while it’s definitely more strenuous and time consuming than the other hikes on the list, it’s more than worth it. Be sure to bring plenty of water as well as snacks. Hiking boots are definitely recommended. This loop begins at Alan Seeger Natural Area, which contains one of the only stands of old growth forest in the entire state of Pennsylvania. Old growth, also known as virgin or ancient forest, means that it has reached a significant age without being disturbed. Back in the 1800s, most of the forests of Pennsylvania were nearly logged out of existence in order to provide fuel for the iron furnace industry and other industries. The results were devastating. Not only were incredible amounts of habitat and biodiversity lost in a short period of time, but humans soon came to realize the hard way that forests helped to prevent floods and protect their water supply from the effects of erosion. While the government has since stepped in to create the National and State Forest systems in order to conserve and protect our forestland, we will never reclaim what was lost. 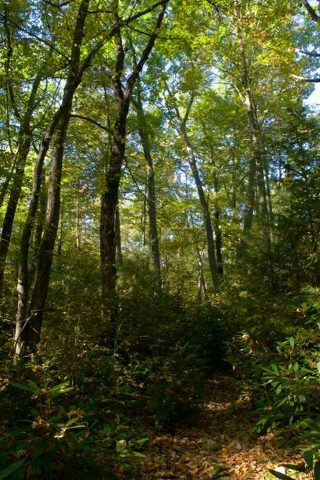 Most of the forests we are familiar with today in the U.S. are secondary forests, which lack the levels of biodiversity that are seen in these ancient forests. All of this means that Alan Seeger Natural Area is a pretty unique place. Experts believe that the oldest trees in the area may be more than 1,000 years old. This is a gorgeous area that is markedly different from the rest of Rothrock State Forest. It doesn’t just look different, it feels different in a way words can’t describe. You’ll just have to see for yourself. Look for a sign on the right side of the road that points to Greenwood Spur heading southbound. From here, it’s a steady and increasingly steep climb to Seeger Road, followed by a rocky switchback. The trail is absolutely beautiful, winding through ferns and other ground cover and then climbing up steep stone steps. You’ll definitely be huffing and puffing by halfway up. All told, this trail climbs about 1,300 feet in just over two miles, but once you get to the top, it will be worth it. Hike time: Up to you! If flat hikes are your thing, this is the trail for you. The Jackson Trail is an out-and-back ridge run that starts across the road from Jo Hays Vista on PA-26. The terrain is rocky and a little technical, but with little to no elevation gain it’s a pretty easy hike as long as you mind your ankles when crossing boulder fields. Since this one isn’t a loop, you can make this hike as long (or as short) as you want. This trail boasts a couple of beautiful vistas (overlooks), with Davids Vista counted as one of the best. It’s the first vista on the trail and overlooks Rothrock rather than Happy Valley, so it’s the perfect place to really see the full extent of the changing leaves. Christina Platt is a Penn State junior studying Recreation, Parks and Tourism Management and a writer for OnwardState.com. When she's not in class, you can usually find her hiking in Rothrock State Forest. 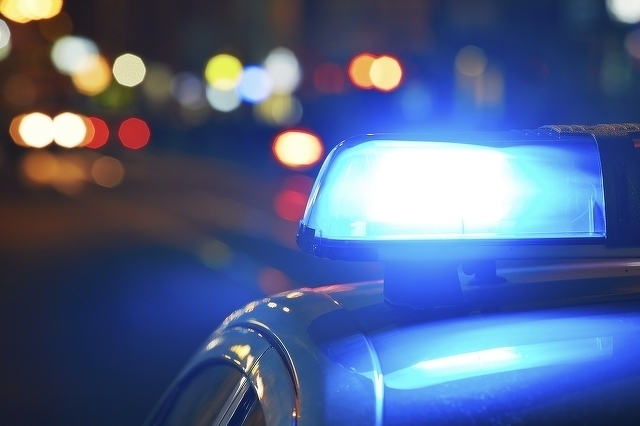 A State College man is facing charges for the alleged sexual abuse of a 9-year-old girl. Bradley J. Arzner, 37, is charged with felony and misdemeanor counts of indecent assault of a minor and corruption of minors.